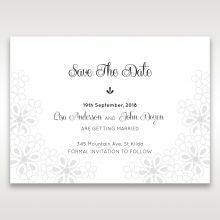 If you are looking for a wedding invitation that works with any kind of traditionally themed weddings, then this tri-fold card is the best choice. 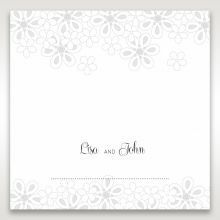 It features an intricate floral cluster cover created using an innovative laser die cutting software on a matte white card stock that opens to reveal the couples initials and wedding date with a leafy pattern. 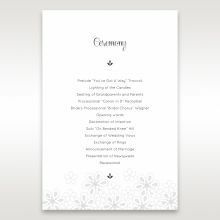 When unfolded once more, celebratory information is presented in sophisticated lettering, along with a customisable verse wording that can be replaced with another verse or further wedding details. 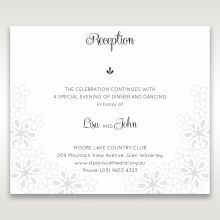 This is the kind of invite that confirms that less is more. I have ordered few samples from this company. Great quality & fast delivery. 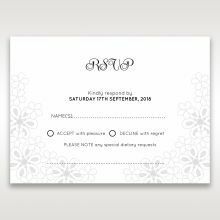 All invitations are elegant, unique and sophistic. The quality is the best of all samples we received. Easy to customise all we want. The website is designed well to meet everything we expected. 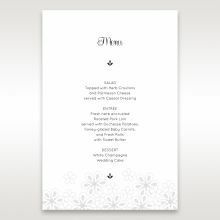 Will order our invitation from one of the samples we received. I am so excited to see the real order to be delivered. Highly recommend! We ordered our wedding invitations from here and they were the most beautiful invitation. Less is more. 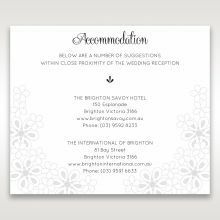 The quality and customer service was excellent and they worked hard to tailor the invitations to our specific needs. 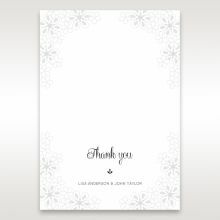 They helped us put together a map for our venue and were helpful throughout the whole process from ordering to collection. Now we’ve come back to use them for our daughters christening invitations. I ordered my samples for my "happily ever after" party and they arrived really quickly and I couldn't be happier with the quality! I am so excited to receive my proper invites now and wouldn't trust anyone else with my invitations. 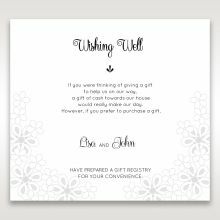 Just ordered a few different invitation samples from this company. The service was remarkable! This is probably one of my favourite samples that i've ordered! I'm sure it's going to to live up to the expectation.. This is perfect for the theme of my wedding. 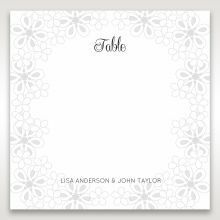 I love the floral design and the colour being plain white is very pretty while keeping it classy and sophisticated. I am so excited to be receiving these in a few days..
Lovely invitations. Also great customer service. Received the sample today, will be ordering for our wedding! Our guests loved the invitations. Highly recommended! Wonderful invitations. Classic and modern at the same time. top customer service and high quality products. This was one of a few samples I ordered from Giant Inviations. The design is simple, yet elegant and unique. The monogram set this invite apart from the others I ordered. 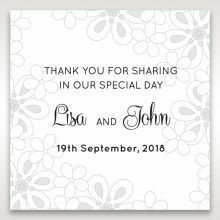 We were very happy with the invite design and their service was great. 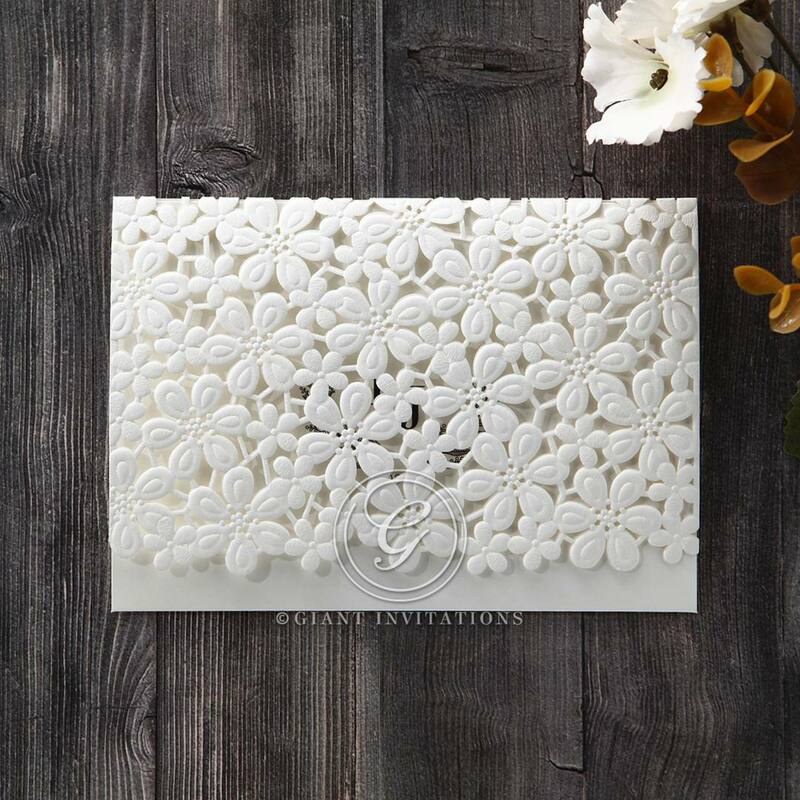 This invitation is so elegant, but not too over the top, and very different from most other invitations we’ve seen. I hopped onto the live chat service on your website and the representative was beyond helpful! I can’t commend her enough.You guys have been truly amazing so far!